I shot this video of Wallis Bird performing Natural Woman by Aretha Franklin at the NYE Turning Pirate Mixtape in Vicar Street, Dublin 8. It was one hell of a show and this rendition of the song is so good I thought you guys might be into it. 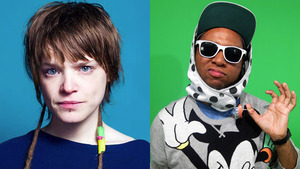 Posted in Misc and tagged Wallis Bird at 4:44 pm on February 22, 2019 by Bodger. 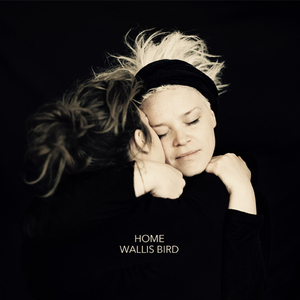 Wallis Bird plays the Riverside Arts Centre, Main Street, Newbridge, County Kildare on June 3. To celebrate the anniversary of the passing of the Marriage Equality Referendum and to celebrate our support of June Fest 2017 ( we’d like to offer your readers a chance to win tickets to Wallis Bird on Saturday, June 3. Posted in Misc and tagged Riverbank Arts Centre, Wallis Bird at 4:13 pm on May 23, 2017 by Admin. 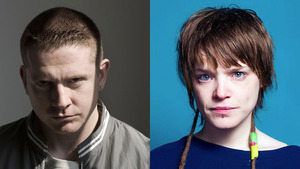 Meteor Choice Music Prize live @ Vicar Street, Dublin (€22.50) featuring Damien Dempsey (left) and Wallis Bird. A chance to see nine of the ten acts nominated for Irish album of the year 2012 play a few songs each topped by the announcement of the winner of a €10k novelty cheque. One of the few gigs you can put a bet down on proceedings. Always hard to predict a winner, Delorentos’ album Little Sparks are current favourites but Windings would be a good bet. Would love to see Mumblin Deaf Ro win it. There’s a very strong possibility that Julie Feeney will be wearing a novelty hat and bewildering audience members with her performance. 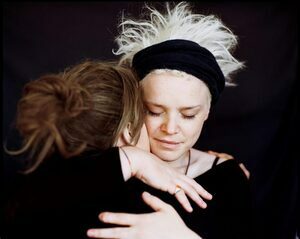 Posted in Misc and tagged Lunice, Wallis Bird at 3:35 pm on March 5, 2013 by Admin.